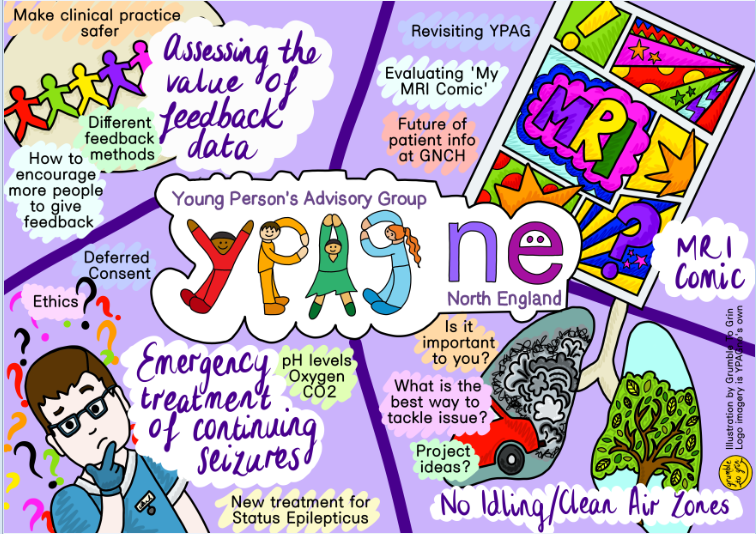 We are a group of young people who meet once a month to review many different types of research that is aimed at children and young people. NIHR kindly fund our catering and travel expenses. 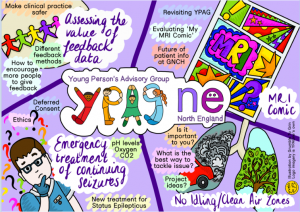 YPAGne launched in 2015 and currently has over 40 active members aged 13-18. Some of us have experienced care in a hospital setting, some of us have experience of living with a condition or disability but many of us have a general interest in learning about health and research. We meet once a month on a Thursday evening at the RVI hospital in Newcastle upon Tyne. Each meeting has four slots where researchers will present their study and we offer support and feedback. We also take part in other activities, such as quality improvement for wards and departments in the hospital and attend events, symposiums and conferences that promote young person involvement in research. 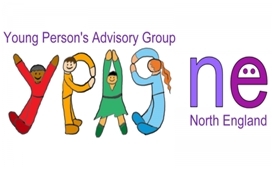 If you are interested in joining our group please email YPAGNE@nuth.nhs.uk, DM @YPAGNE or go to http://www.YPAGne.org to find out more.